I have some different versions of DIY baby blankets that you should go check them out, including crochet, knit and sew ones. Having babies is one biggest events to celebrate, and a new life for parents, here is New Baby Tips and Hacks to Make Your Day Easier for new parents. This envelope blanket is another ingenious design for new babies and new parents. It is easy to make, and perfect to keep baby wrapped inside in chilly weather, and a play mat in room, too. Your little ones will be snug as a bug in this fabulous blanket, and keep new moms easy and happy while going out. Please note that it is not recommended for use in the car. The photo credit: sewed baby nomade. 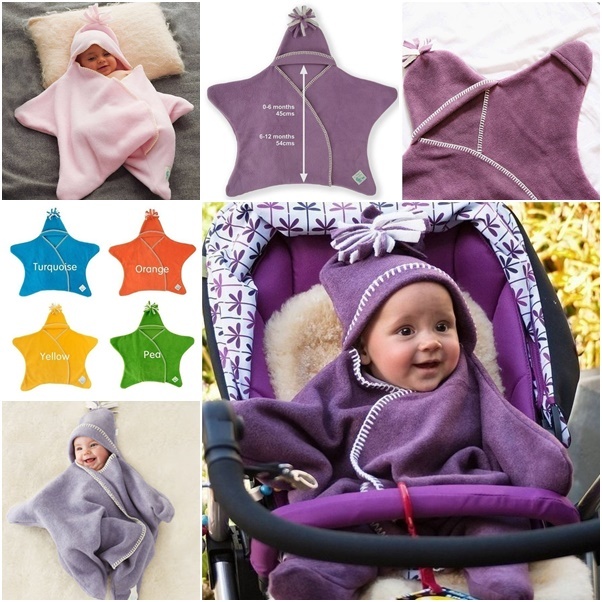 You may also love the DIY this star blanket for babies.